When Do You Need Wiggins Adjustments Ltd? Businesses are often reluctant to be firm with their customers that owe them money so a collection agency is a great solution. 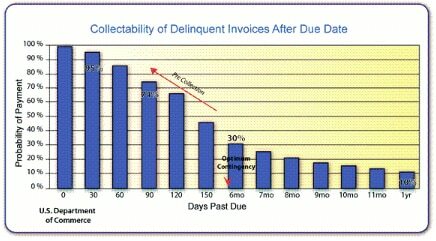 The likelihood of collection decreases as bills get older and the following chart illustrates when and why you should send a debt to collections.